The SP 150-600mm G2 (Generation 2) ultra-telephoto lens with upgraded optical performance enables handheld shooting with remarkable definition. 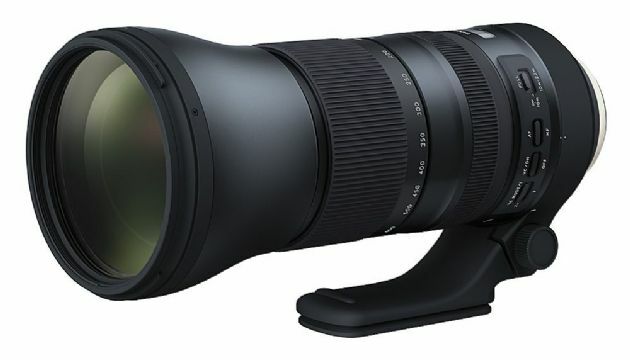 This new lens builds upon the success of the original and much acclaimed SP 150-600mm (Model A011, which Tamron first introduced in December 2013), including better overall optical performance and faster AF speed, VC enhancements, plus Fluorine Coating, FLEX ZOOM LOCK and optional, matched teleconverters. Rebuilt from the ground-up to meet Tamron’s strict quality standards and design specifications, this new zoom combines smart engineering and high performance with quality craftsmanship, durability and user friendliness. The SP 150-600mm G2 includes three LD (Low Dispersion) lens elements which completely eliminate axial and transverse chromatic aberrations. It also features upgraded optical construction (21 elements in 13 groups). Anti-reflection technologies, eBAND (Extended Bandwidth and Angular-Dependency) Coating and BBAR (Broad-Band Anti-Reflection) Coating improve light transmission and suppress internal reflections, including light reflected off the camera’s image sensors. So even when taking a backlit or semi-backlit photograph, ghosting and flare caused by reflected light are fully eliminated.